More than 45% of graduates in India are unemployable for any job! Home > Blog > Blog > More than 45% of graduates in India are unemployable for any job! A recent research carried out by employability solutions firm Aspiring Minds unveiled that almost 47% of Indian graduates are not employable for any industry job. Well the report says that 2.59% of the Indian graduates are employed in functional jobs such as accounting, 15.88% of them are employed in sales-related jobs and 21.3% of them are employed in BPO or ITes sector. However, more than 45% of the Indian graduates are found to be unemployable in any sector because of the lack of proficiency in English and the cognitive skills. A graduation degree has been supposed to be the pathway to a job in the knowledge economy however we need a considerable involvement to enhance the basic skills of the students at the stage when they are at school or college. The every second today pops up with a new language, a new theory, a new software making it tougher to excel in the ever changing work environment with a simple graduation degree. You need to match your pace with the time and development. As per the report that we have discussed right now we need to emphasize a renewed focus on vocational trainings. There are so many professional training in the market that can help you gain expertise in that sector making you employable for a job in that sector. They not only make you employable but also help you gear up for a better career growth. Here, we have top two training courses that you can opt for and enhance your skill to get a decent and promising job. 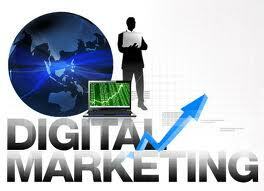 The overnight revolution that digital marketing has brought to the world cannot be comprehended in the words. Everything now is getting digitized marketing, advertising, user actions and so on. Let me explain you first what digital marketing is. As the name signifies, digital marketing is actually marketing over the internet through various digital devices. The number of people on digital devices is increasing day by day which in turn increasing the work of digital marketers and finally sowing the seeds of a lot of work for digital marketing professionals. It is expected that there will be innumerable jobs in the digital marketing sector in the coming days. Not just that the industry is growing at quite a faster rate letting you to grow with it. To get the internet marketing training you can contact Delhi School of Internet Marketing as it offers an all-in-one full-fledged course in Digital marketing for working professional,entrepreneurs and students. An industry that has left nothing which is untouched is the graphic designing industry. 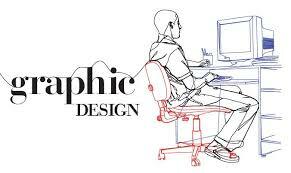 Almost all the industry needs graphic designer opening doors for a lot of graphic designer in various organizations. Not if more at least all the business needs a website be it any industry generating vacancies for the graphic designers. There are so many institutes that do train you in graphic designing however some of them are Maac, Arena Multimedia and so on. This actually is an alarming situation for the country that almost half of the graduates are unemployable for any job and the matter needs a great attention in order to resolve this issue. The only resolution that seems feasible right now for the graduates is to learn the language and enhance their skills in the field they think they can do well with. Nobody wants to go in loss. Why will an organization hire you if you do not possess the desired skills? In fact, there should be some skill set enhancing side by side vocational training for students during their graduation itself so that the moment they have graduated they possess the related skill set making them far more employable.